The idea behind modular gaging fixtures is to take all the elements found in high-precision, comparative gaging and turn them into reconfigurable, modular components. Comparative gages consist of basic, common components. For example,comparative gages have solid reference anvils, a sensitive contact, part refer­ ences (backstops) and a readout,all mounted on a stable frame. 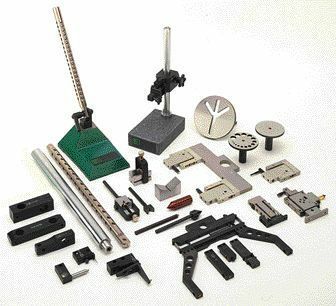 The use of standard components enables flexible measuring devices to be designed and assembled for a wide range of workpieces. Common elements enable them to be reconfigured for similar or different applications. Whereas a traditional comparative gage might be built for one size shaft with five diameters, a modular gage can be adjusted with relative ease for five diameters of different sizes and at different locations. 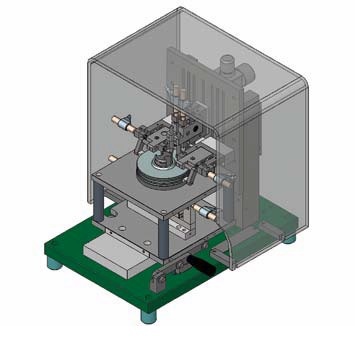 Modular gaging elements can be configured for simple or complex workpiece geometries. Keeping the design of the modular components. Call 866-9945-5742 or email: sales@willrich.com for more information. standard elements can be reused for another workpiece. A choice of different mechanisms for guiding the moving part of the stylus, selectable for the accuracy requirements of the measuring task. Reduced development and implementation time. Availability of the equipment: standard elements can be stocked by the supplier for immediate delivery when new gaging require­ ments emerge. An initial gaging system can be constructed by the customer using standard elements obtained from a catalog. Alternatively, these elements can be ordered as a complete solution for the first setup, and then changed later as needed. methodologies to an evolving manu­facturing environment.